Death separates Dulari from her beloved twin sister, Ujjwala. Forlorn, her spirit remains on Earth as a powerless but constant companion to Ujjwala. Like the apsara Urvashi, she has the power to travel between worlds but no family, no one to love. Dulari has a dream: she hopes to be reborn as Ujjwala's daughter and find a home for herself. Twenty-nine years have gone by, but her dream remains unfulfilled. There is hope, though, for Ujjwala has a son and now longs for a daughter. Then arrives a man from Ujjwala's past. His presence upsets her life and sets into motion a series of events that threaten to destroy her completely. Only Dulari can save her sister, but to do that, she must relinquish her dream. Sensitively written and evocative, A Home for Urvashi depicts the bond of sisterhood that goes beyond life and death. 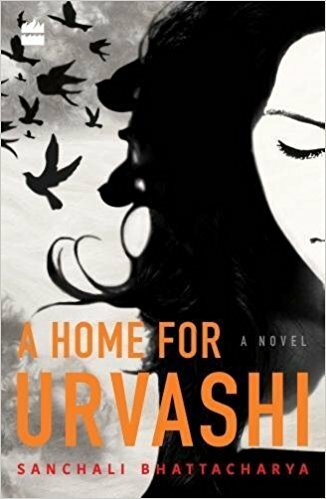 A Home For Urvashi is a great read. I enjoyed reading it. Its a story of true friendship and love for sister. A Home For Urvashi tells a story of twin sisters, Ujjwala and Dulari. They both were abandoned by their parents at the time of their birth. Ujjwala is lucky as she was the survivor but Dulari becomes a ghost after her death. She longs to reborn as Ujjwala's daughter so that she can be with her sister. She loves her sister very much and she keeps a close watch on her. Ujjwala works in a company and her husband Yash works as a chef on a luxury cruise line and his duties kept him away from his family, Ujjwala and their three year old son, Vir. Dulari realises that her sister's life is in danger when Rituraj, a guy from Ujjwala's past returns to her office. He is Ujjwala's boss and was depriving a child of his mother's love by making Ujjwala work for extra hours. ari has two options either to wait and reborn as Ujjwala's daughter or to quit her dream to protect her sister. Which option will Dulari choose? To know about this, you'll have to read the book. -I loved how Dulari could understand her pained look on her sister's face without having her to speak anything. She could feel her loneliness. -I loved the character of Ujjwala a lot. She was kind-hearted woman who always thought of other people. I liked how she often urged Nimola, Vir's nanny to take a nap along with Vir in the afternoon, so that Nanny too could get some rest. Her generous contribution of the Organisation working for welfare of children also impressed me. -Yash stayed away for work for so many months but Ujjwala never complained about the long intervals of silence. - Dulari was a regular formless and weightless ghost but she yearned for finer aspects of living. I loved her imagination where she longed to be reborn so that she could create a host of drawings and paintings. She even want to taste so many things which Ujjwala liked. She imagines "If ever I am born as Ujjwala's daughter, I will definitely taste paan-without Zarda, of course. -The bond of friendship which Dulari and Beral, a Cat shares is lovely. Beral's caressing voice and her gentle touch is what keeps Dulari happy. I loved the plot, a unique plot I would say. The writing style of the Author left me impressed. The descriptions of beautiful city Kolkata made me fell like visiting it. The storyline is good too.I would recommend it to everyone as its a great work of fiction. The story is narrated by Dulari to Beral, a Cat and I think this was the beautiful way of narrating a story. The book cover is attractive and the title is apt too. I would recommend this book to all my readers. An electrical engineer from Jadavpur University, Sanchali Bhattacharya is a director in her own engineering and manufacturing company. 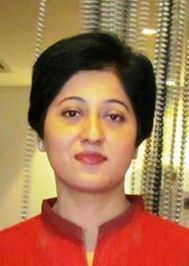 Sanchali’s short stories have featured in The Statesman. She is married and has a son. She lives in Kolkata. This sounds like such a compelling story! I really loved reading your review on it.